While this isn't a craft or DIY post, this is about to get messy! This past weekend, myself, my boyfriend and a couple friends travelling to Whistler in order to challenge ourselves to do the Tough Mudder. Now, usually going up to Whistler is a relaxing time spent with friends snowboarding in a quaint snowy village in the winter or hiking the beautiful trails in the summer. Well, this wasn't one of those times. It was muddy, it was dirty, it was tiring, it was tough but it was also one of the best times in my life. The Tough Mudder is a military style obstacle course with 15 obstacles and stretches 19.2 km on mountainous terrain. We got bruised and battered but we also had lots of laughs in between. 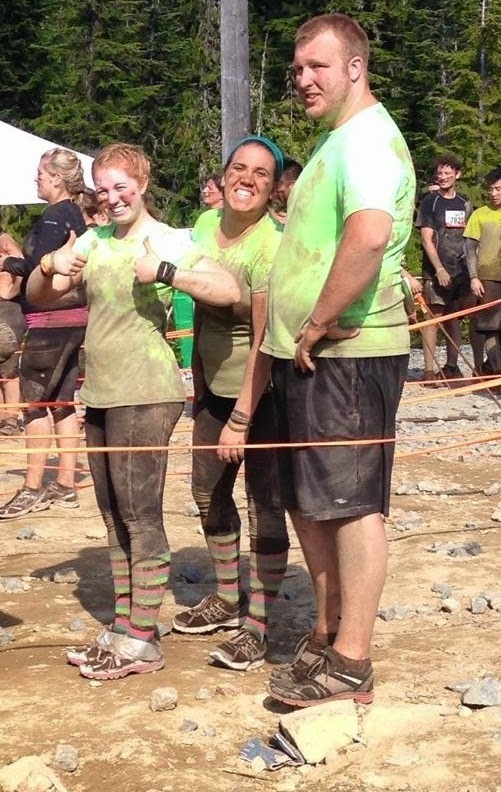 Here is our team, the Dirty Mudders, and just look at how clean those shirts are! It was so much fun seeing the different costumes and names people had for their teams, any thing from team "Why did we think this was a good idea" to team "Ninja Monkeys"
Here are the ladies of the team getting ready, if you look at the wall behind us, this was just a sneak peak of what we had to do, we had to climb walls just like this that were 12 feet tall! No wonder my arms are bruised and battered. Signs like these brought a bit of humour to the challenge as we went and every time we saw another kilometre mark, we got a little more excited. This was the first obstacle and that water was near freezing! As you can see, we are getting muddier and muddier, but this was kilometre 18 and we still have smiles on our faces! The one main thing every one strives for at the Tough Mudder is to get one of those orange headbands around your head and wear it with pride. The reason I'm crouching? Mostly because I couldn't feel my ankles any more! And lastly, besides the headband, what else is waiting for you at the finish line? An ice cold beer.... worth it. I loved doing it and you can bet that you will see me there next year as well! The obstacles were different levels of difficulty but if we didn't have all 6'5" of my boyfriend there, I don't think we could have made it over most of them! I think it is a great way to show how dirty we really got!! 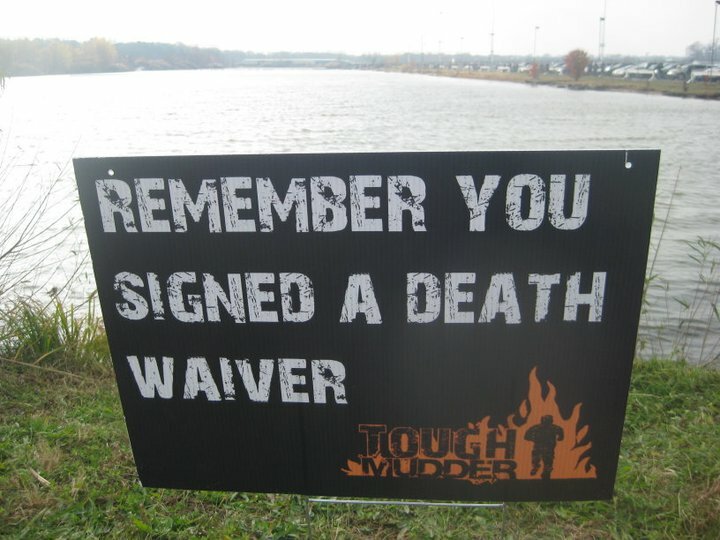 If there is a Tough Mudder happening near you, I definitely recommend it!